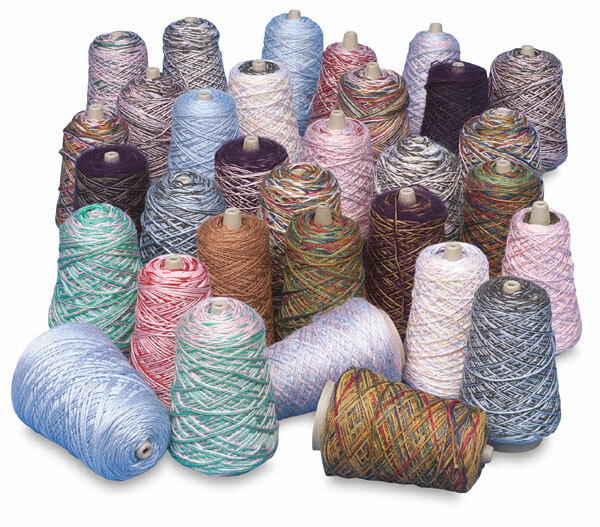 An assortment of 2 to 6 ply. Colors include solids, heathers, twists, and textures such as flake and nub effects. Fibers are mohair, wool blends, 100% acrylic, polyester, and wool. Total of 32 cones, 8 oz approximate net weight of each cone. 10,000 approximate total yards of yarn per box. Not in dispenser box.